The week started out with an 8 hour drive home from Ellicottville, NY and a planned day off. The pup was EXHAUSTED after a weekend of running, running, and more running! Throw in some doggy sedatives and Georgie was out for DAYS so I decided I should get out and stretch my legs. Well 3 miles turned into 4 miles and ended up being a fast 5 miles. It felt really good, especially after all the crap and fresh, warm donuts I ate at the cabin! I wore my headphones which was a good distraction but also weird. I can’t remember the last time I listened to music while I ran. Tuesday was Run Club and most of the gang was there this week. Danielle and Jason were fresh off the Hartford Marathon (Jason’s first!!) and it was fun to run with everyone—even though the whole run was in the dark! Eeeee! I have been loving my Osterville runs lately and I was able to enjoy another 5 miles there on Wednesday leaving a short 2 miles for Friday. Long Run Saturday was a little rough. I didn’t have any company this week for my 12 miler but a dentist appointment had me near the Shining Sea Bikeway in Falmouth. I ran 3 miles in one direction setting myself up for a water stop at my car around 6 miles. I planned to run the Chappy loop (about 3 miles) and head back to the car for a second water stop before a few more bike path miles to finish up. The first 6 miles I felt great! I was going faster than I wanted but I’ve been giving some major thought about my marathon goal pace lately so I decided to stick with the pace and see what happened. Well, the Chappy loop was SUPER windy and at about 9.5 miles I fell apart. I pushed through but I felt horrible. The worst part about it—I was planning an egg and cheese sandwich with tomato and avocado from the Daily Brew but I pulled into the parking lot and read that they were closed for renovation! Such a disappointment. My Stop & Shop toasted bagel was not the same. 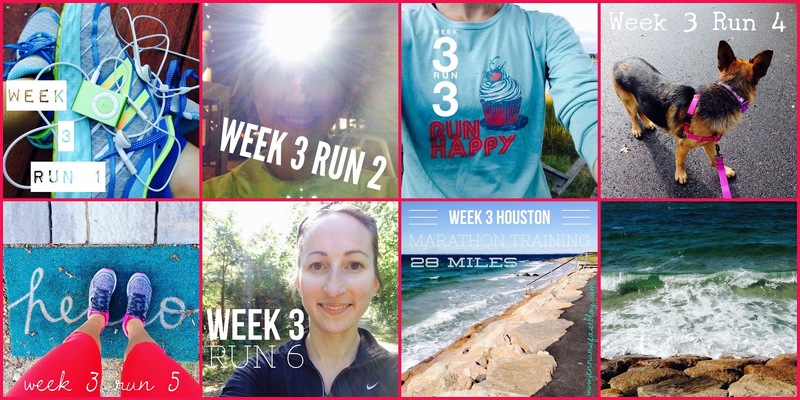 · 1 week until the Cape Cod Half! 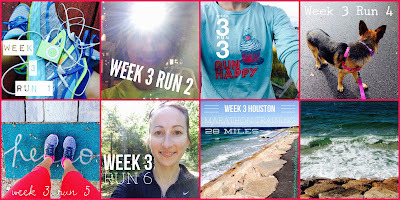 · 13 weeks until the Houston Marathon!